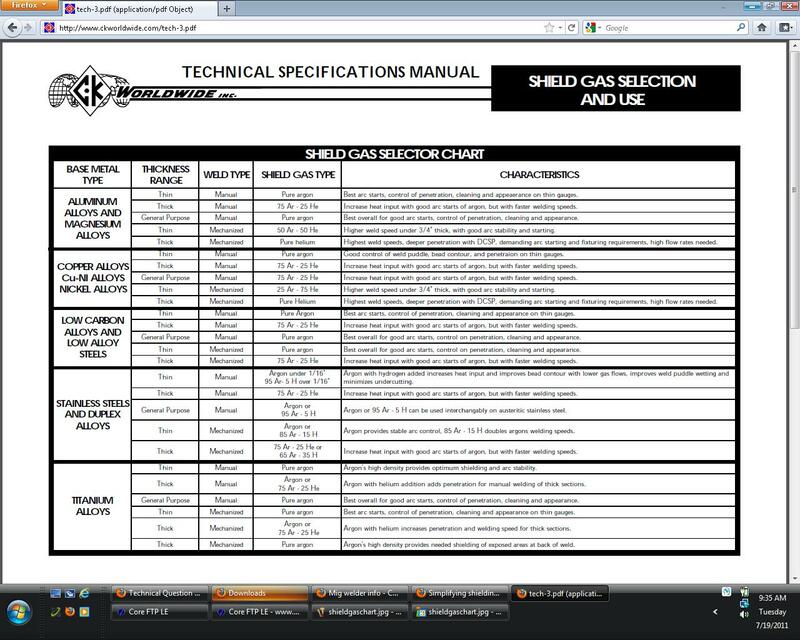 "Stainless should be welded with 100% argon. It is practical for most shops and hobbyist. There is a helium mix that is better but way expensive and it has to be purchased in larger quantities you would never use so forget that. Stainless is welded with straight polarity or NCEN (Direct Current Electrode Negative). 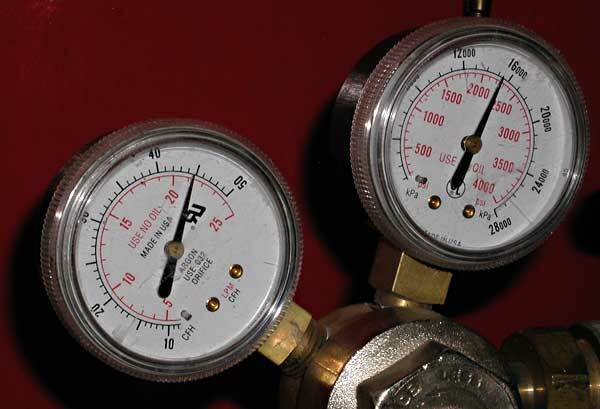 One thing you should consider is back gassing the weld joint. Tape up the ends of the collector with cardboard (away from the welding heat) and run a hose inside to fill it with argon. The back side of a non back gassed stainless joint will crystallize due to oxygen exposure. A common term is sugar behind the joint. It is also important to be very aware of pre flow and post flow when welding stainless. It is hard to make yourself hold the torch over the weld for 5 seconds after the arc stops but you got to do it. I bought stainless wire for my mig and tried it with 75/25 once. It will weld stainless but it isnâ€™t pretty. Hence the tig purchase. Aluminum is welded with 100% argon and AC current. Most welders have an adjustable balance control (time at DCEN/DCEP) to achieve the best cleaning action and penetration. That is the reason AC current is used. 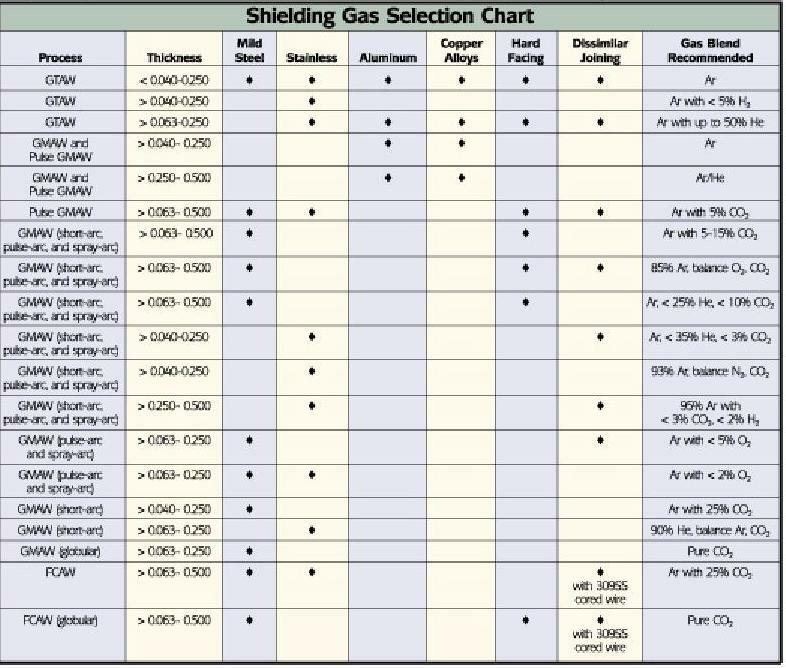 if you buy a bottle of shield gas like argon for mig welding, the cost is usually "at least around here "about $240 one time plus $45 to fill (first fills usually included) and about every 6 years you need to pay about $50 -$60 to get the tank re certified as safe to fill, be VERY SURE YOU BUY A TANK STAMPED [b]PRIVATE OWNED or it will be swapped out for a rental tank when its refilled, and get your tank REFILLED or your very likely to get someone elses tank that needs to be certificated. "yes that can mean making two trips or waiting an hour or more to get it filled"
OR you can rent a tank, generally theres a security deposit that varies , and a monthly charge , that can run $15-$30 per tank, plus you pay for tank swaps (your empty for their full each time about $34, around here, but you never pay for re-certification, so it depends on what your doing which is better. "IF your going to weld a great deal its more than likely cheaper to rent, it cost me about $240 for a full size tank filled that I OWN, but if you own a tank about every six years you need to pay about $60 to get it re-certified, and it costs about $45 per refill, and you need to wait to get the tank refilled, which can take a few hours if they are busy so you get the same tank back. if you rent cost varies wildly but $10-$20 a month on tank rental and $30 per refill is rather common, and a 100$ tank security deposit that you get back if you return the tanks common.